An American yoga instructor and travel blogger received a lot of flak online after she made negative remarks about Indians in an Instagram post. 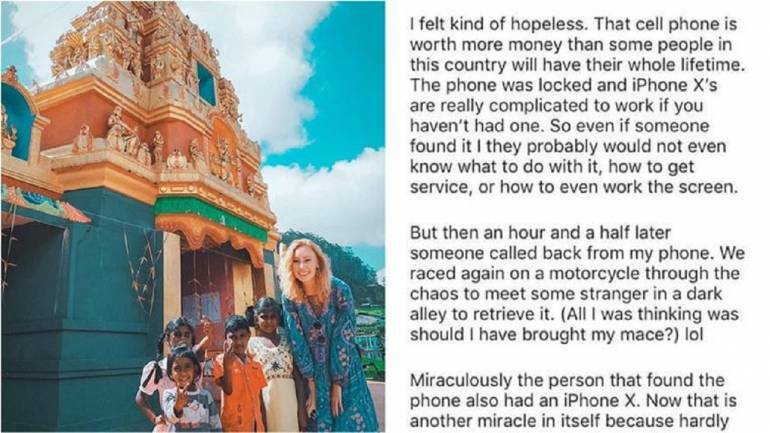 Parts of the post read that ‘Indians are too poor to buy an iPhone’ and she expects someone in the ‘most overcrowded country in the world’ to return her lost iPhone X.
Colleen Grady, an influencer from Indianapolis, described how she lost her ‘sleek and expensive iPhone X’ in a post on the streets of Jaipur while she was exploring the place. “Yep, I lost it in the poorest most overcrowded country I have ever visited and one of the most scammy tourist cities in all of India,” she said, adding further that she was not expecting to get it back as the phone is ‘worth more money than some people in this country will have in their whole lifetime’. Further, she even said anyone who finds it won’t know how to use the ‘complex phone’. She also wrote the process of how she tried finding her phone at a homestay. Lucky for her, a local called her up and informed about her phone. She went to get her phone from the stranger while she thought of ‘carrying a mace’.